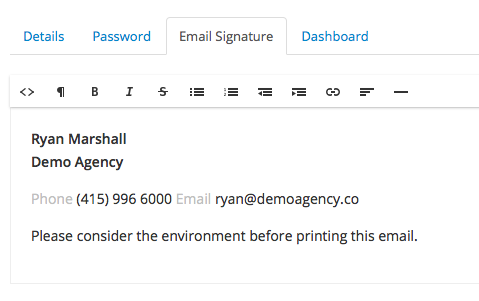 Update your sign in details, email signature, account preferences, and more from the My Account page. 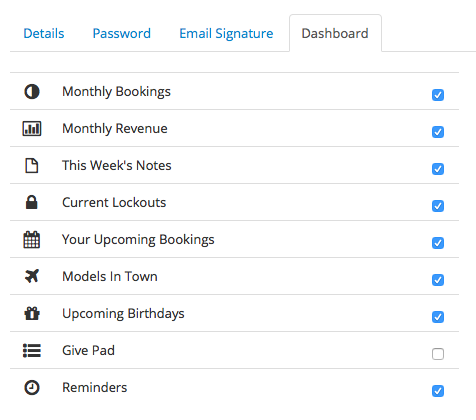 Bookings – receive a copy of any Booking emails you send to models. Packages – receive a copy of any Package emails you send to contacts. 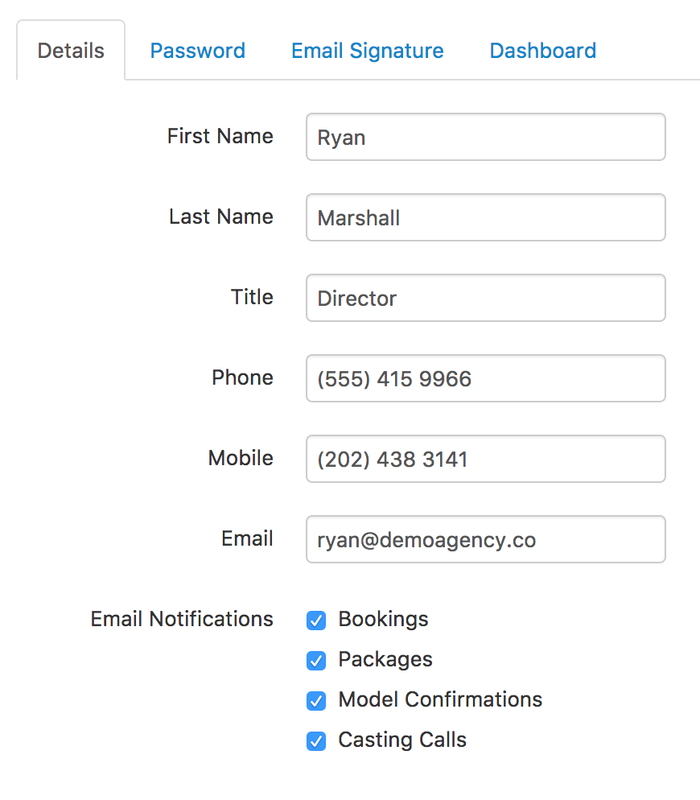 Model Confirmations – receive an notification each time a model confirms for a booking.